Hello, that's amazing. I'm foreign, so I don't have much to lose in this country. So I'm going to bore you with a three hour speech on Brexit! 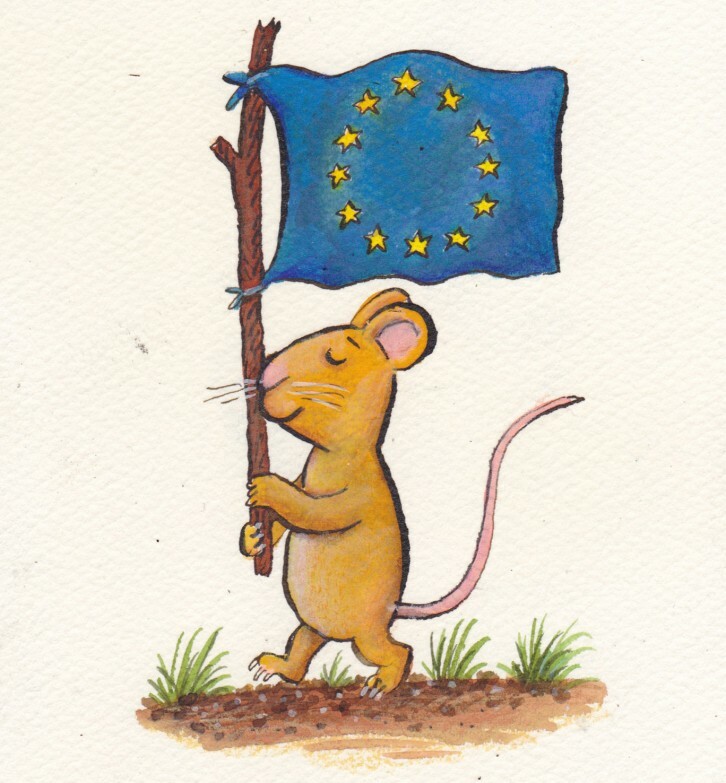 It’s just ten months until “Freedom Day”, the bells will be ringing over the country – next March – and I – and my fellow EU citizens, many working in the UK book industry – are still living in uncertainty. We have, so far, no guarantee that we can still live and work here in the future. In a worst-case scenario, I might not be allowed to stay here by the time my next book with Julia Donaldson is launched. Michael Morpurgo wrote movingly, “My uncles fought for peace, not for Brexit”. He wrote that Britain doesn’t really like the rest of Europe. And he’s right. That hurts and it makes me sad and angry every day. A Brexiteer would, of course, say, “Of course we want them when they make money for us.” But how can you gauge the future contribution of a young girl, as Judith was when she came here, or a 25 year-old student, as I was. So beware, Brexit Britain – if you have no friends in a hostile environment – the dragons may come and get you.